Christian Testimonies of Epikos Church in Bend, Oregon. Epikos is the Greek word that translates to the English word epic, a great story about the works of a great hero. While there are many great stories, there are none greater than the Christian testimonies of lives changed by the love of Jesus. At Epikos Church we don't just tell these stories, we live them. John shares his story of finding identity, purpose and joy in his walk with Jesus. Theresa's testimony of healing from abuse. Robin's testimony of restoration after an affair. A Christian testimony in Bend, Oregon. Alex finds joy and fulfillment living for Jesus. 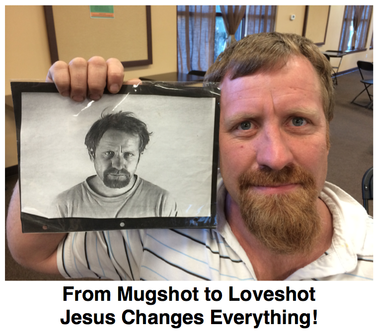 Steve from Bend, Oregon shares the testimony of how Jesus changes his life. The Bible tells us sharing our testimonies is one of the greatest tools God gives us for overcoming the devil. 1. You get freedom from the oppression of secret shame. 2. You give someone in a similar circumstance hope in Jesus. 3. You bring Glory to God for the work He's done in your life. My dad was an angry alcoholic until Jesus changed him and saved my family. Jenna shares how God brought purpose to her life. Tina's testimony of the unconditional love of Jesus.